Ice Cream. Cookies. Together, an Ice Cream Cookie Sandwich. Sounds good to me! Captain Cookie & The Milkman is where it’s at in Washington, DC for this combination. As soon as they opened, we went to try it! You can make your own combination from their selection of cookies and ice cream. 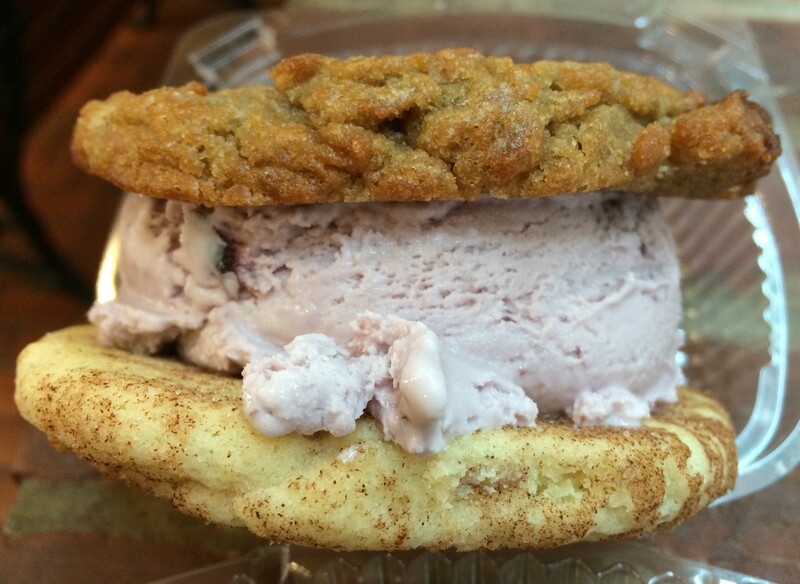 This one is Black Cherry Ice Cream in between a Snickerdoodle and Peanut Butter Cookie. Posted in Cookies, Ice Cream, USATagged Cookies, Ice Cream, Ice Cream Sandwich, Washington DCBookmark the permalink.